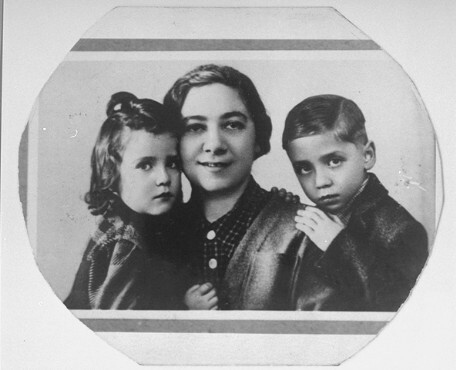 1942 portrait of Ita Guttman with her twin children Rene and Renate. When the twins were very young, the family moved to Prague. In the fall of 1941 the Germans arrested Ita's husband, Herbert. Subsequently, the twins and their mother were deported to Theresienstadt, and from there, to Auschwitz.